Send wishes of Sweet Dreams to the new baby boy. 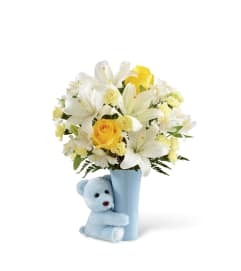 White daisy poms and mini carnations, purple statice and a yellow Asiatic lily fill a baby blue ceramic vase. 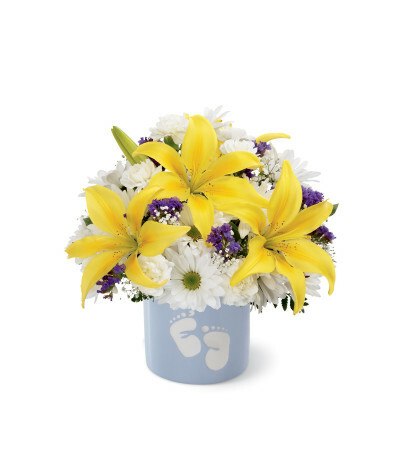 Baby footprints adorn the vase, making it a sweet keepsake for the new parents.